The Right Decision Can Save Your Life. Leave Your Ego On The Ramp. We have said it hundreds, if not thousands of times. Judgement is the single best tool a pilot can have in their flight bag. When you are in the sky, airplane or helicopter, a single wrong decision can ruin your day, and it will not be evident until the moment it is too late. Personally we believe that pilots should embrace the possibility of catastrophic consequences if the wrong decision has been made, and we should always be evaluating every decision at least twice. This text is very important to all pilots, and should be received by a humble mind. The original article from Flying Magazine can be found here. Don’t forget to follow our Instagram page which can be found Here. “If you are ready to deal with the answer, here’s something you can try the next time you are in a room full of pilots. Ask them to hold up their hands if the answer to this question for them is “yes.” “How many here knew someone personally who was killed in an aircraft accident?” When Martha and I do this, we usually see the hands of about three-quarters of the pilots go up. If it is a room full of flight instructors, nearly everyone raises their hand. The follow-up question is even more shocking. “How many were not surprised to see it happen?” More than half of the hands usually stay up. Dr. Bill Rhodes, a general aviation pilot, aircraft owner and former head of the philosophy department at the U.S. Air Force Academy, wondered if he could define those things that should scare us about pilots. With funding from the aviation insurance company Avemco, Bill founded ­Airmanship Education Research Initiative (AERI) and set out to do so. Bill created thoughtfully designed scenarios and had pilots fly them in simulators. Some pilots flew the scenarios safely, while other pilots “killed” themselves. What began to emerge is that those pilots who “killed” themselves had certain scary characteristics in common. Superior pilots (as defined by not “killing” themselves in the scenarios) had other nonscary characteristics in common. Bill isn’t the first person ever to attempt this. After all, FAA literature discusses the “5 hazardous attitudes,” but what Bill has done differently is to create a scientifically valid test and carefully measure and document the results. Out of this he has created an especially insightful vocabulary that will help pilots understand and express themselves well on the subject. Here is my take on what Bill has uncovered so far. First, it would be no surprise that scary pilots take risks. Flying always involves risk, but these pilots are completely indifferent to managing risks. They are overoptimistic, planning on barely realistic results. They count on full exploitation of their own capabilities, and those of the airplane, with no room for anything going wrong. Superior pilots, on the other hand, have a habit of leaving margins, space between what they are capable of, and plan to do, for both themselves and the airplane. They are realistic about themselves and the capabilities of the aircraft. They plan well to ­mitigate risks and to take pressure off of themselves. By the way, Bill’s study brings up one of general aviation’s biggest issues. As they advance in capability, pilots tend to just get more utility out of their flying rather than expanding their margins. For example, as pilots progress from private pilot to instrument-­rated to multiengine-rated, their accident rates don’t improve. 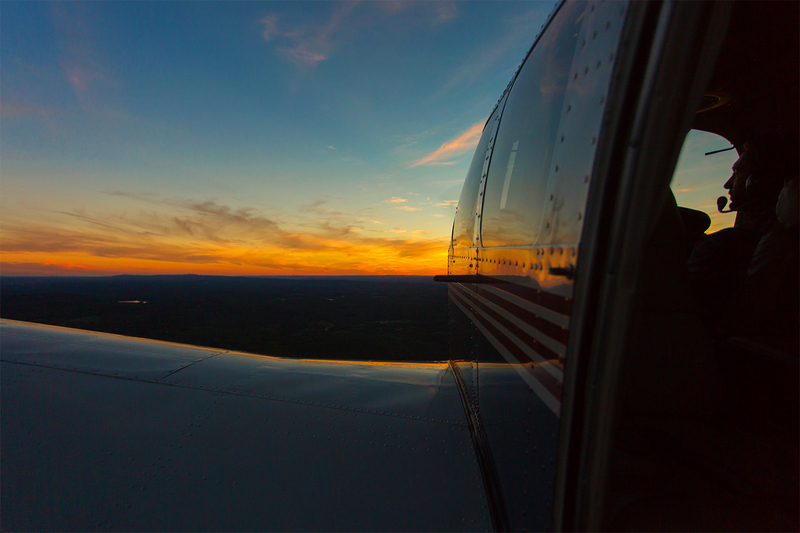 Of course, utility is one of the great benefits of general aviation, but as Bill’s study shows, there needs to be a better balance between utility and risk management. Scary pilots are in a hurry. They begrudge the time for planning and preparation, which make up much of the real business of flying. They have to get going quickly. They have to get there fast. Scary pilots are “know-it-alls.” They ignore the books and mentors and speed through training. They quickly advance to high-performance aircraft. They don’t study, and don’t listen, and blame instructors or the simulator for their own shortcomings. Superior pilots are committed to the effort it takes to fly and stay alive. They are respectful of the subject matter, their instructors, the aircraft and its requirements, and the system. They are active in their pursuit of excellence. They expect quality of themselves and their instructors, and in the maintenance of their aircraft. They know the real business of flying takes time, devotion and commitment. Of course, superior pilots have confidence too. We need confidence, but superior pilots have nothing to prove. They don’t need to impress themselves or others with their skills. Their egos are in place. They are realistic about themselves and what they will attempt. They are honest and forthcoming and willing to admit their limitations. Because people know that Martha and I are involved in general aviation, we are often asked whether it would be safe for them to fly in such and such a small airplane. Our answer is that airplanes are generally safe, but pilots are questionable. We ask them what they know about the pilot and how he lives the nonaviation part of his life. What is the driving like? How orderly and stable is his life? Does he show up on time? Is he thoughtful and responsible? If he is not thoughtful and responsible generally, he is not suddenly going to get that way in an airplane. These might seem to be unusual questions to ask, but insurance companies have found that these kinds of things, including issues like paying premiums on time, are definitely related to their risk of loss. So what makes a scary pilot? ­Overall, it’s not the lack of skill that we should be concerned about, but the lack of humility, ethics and responsibility toward others. What makes a trustworthy pilot? Well, it sounds like the kind of thing Eastern religions talk about — self-knowledge, self-mastery, caring about what’s really important, and giving aviation the time and devotion it and our passengers deserve. These things sound like they are part of a person’s innate character and cannot be changed. I believe they can be changed. I have seen them change in me. When Martha and I first started flying, I was a young man in a hurry. I wouldn’t let anything slow me down. After a personal bankruptcy and then an airplane crash, I am much more self-aware, thoughtful and mindful of my responsibilities to others. People might tell you that I still have a long way to go, but certainly I have seen a change. So if you know of a pilot, or you are the pilot, who scares you, all hope is not lost. But it won’t be easy for him, her or you to change, or in some cases to even understand the need for a change. CFIs can easily work with a pilot to develop skills, but a scary character is a challenge. This entry was posted in Aviatrix. “Undetermined Reasons” By Elan Head. nikeit.com on “Undetermined Reasons” By Elan Head. hpt on “Undetermined Reasons” By Elan Head.